Examining part time jobs such as home call centers, home sales, and data entry. 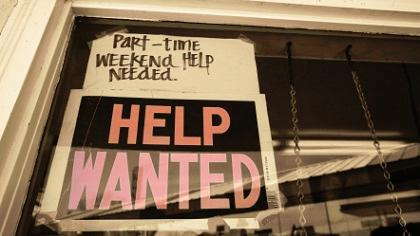 There are so many WAHM jobs available now, that the hardest part for some people is to choose which part-time Internet job they want to accept. WAHM jobs include starting small businesses, doing part-time freelance work and doing work online or over the phone for large corporations. Call centers are now being outsourced from large, central call centers to people who take the phone calls in their own homes. These new call centers are usually customer service WAHM jobs that rely on home workers to answer customer questions and to take orders that come in over the phone. These jobs usually pay by the hour, but there are also call center employers who only pay for the actual minutes that the worker spends on the phone. Selling items from home can be done at home either online or through phone calls made from home. The Internet jobs usually include marketing products online, including joining affiliate networks and marketing the affiliate links online to generate sales. Other home sales jobs are conducted over the phone. This includes home telemarketing jobs that require cold calls, as well as sales jobs that include calling only people who have asked about the products being sold. Data entry is one of the jobs that anyone can do at home from a home computer. It requires the simple inputting of data into a central file or a website. This usually pays by the volume of items that are inputted, making speed an essential skill for getting ahead in data entry. Data entry is sometimes needed for insurance information, for medical billing, for customer information or anything else that companies need complied into a useable database. Online tutoring sites have work at home jobs for people with degrees who are interested in helping students who need homework help. These Internet jobs sometimes require teaching experience, but many only require a degree in a field that pertains to a school subject that kids need tutoring in. English, math, science and history degrees can be helpful in getting these Internet jobs. The tutoring is done online through a chat feature that allows real-time communication between the tutor and the student. A medical transcriber is another of the WAHM jobs that makes speed an asset. Transcribing requires the quick creation of text versions of an audio file. This job can sometimes be found locally by calling around to doctors and finding one who needs to have their recordings transcribed. Other transcription jobs are found online through companies that outsource the transcription tasks that multiple doctors need done. These can be done online with the completed text inputted into the company's website. With writing experience, it is possible to get published in any of the many online publications that accept and pay for freelance submissions. Online content is a big business, and many people with English, Communications and Journalism degrees are able to find part-time writing jobs online. These generally include non-fiction writing or copywriting.